I’m heading home this afternoon from Aruba, where I spent the last two days diving in the C-Quester 3, the first operational sub built by the Dutch company UBoat Worx. It’s really a blast! 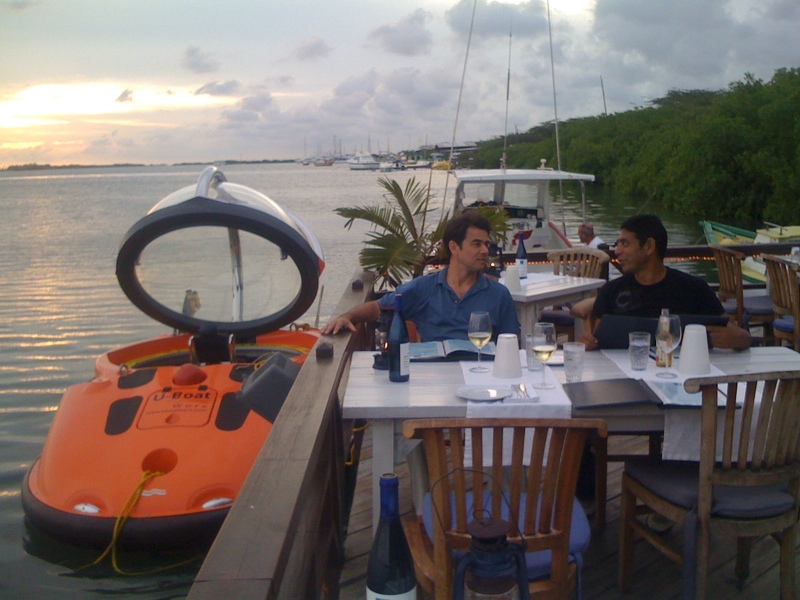 Last night we motored over in it from the marina to a seaside restaurant, where we had dinner and enjoyed the sunset. I’ll be posting more about this in the future, including some cool video that we shot. Previous Previous post: Can You Lose Weight By Thinking Really Hard?